Kurt was born March 26, 1930 to Hugo and Selma Pauly in the city of Aachen, Germany where Selma’s family had resided since the 18th century. Kurt’s maternal grandfather, Louis, owned a chain of butcher stores there. Hugo, though trained as a chef, worked as a butcher in these shops and also managed several other stores for his father-in-law. The Paulys lived over one of the stores in the nearby suburb of Eilendorf, Germany. Kurt, an only child, enjoyed large family gatherings, where he would play with his cousins, Anne and Margot Frank. 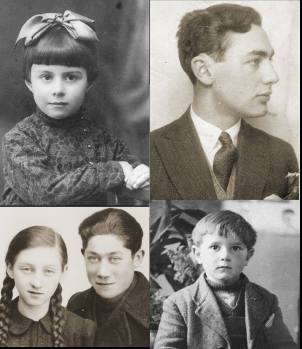 Although his family attended synagogue regularly, they did not consider themselves very religious people and were fully integrated into German society, interacting with their non-Jewish neighbors regularly. When the Nazis came to power in 1933, the situation drastically changed for the Paulys. SA Stormtroopers stood in front of the family's stores urging customers to boycott Jewish businesses. Worsening conditions forced the family to close its shops just a short time. Although he was still able to go to public school, Kurt’s parents thought he would be safer at a Jewish school, so in spring 1936, Kurt began attending a Jewish elementary school in their town. Hugo was worried that Kurt would be attacked on his way to school so he sometimes followed the tram Kurt rode each day to ensure Kurt’s safe arrival. A German-Jewish mother Selma Pauly takes her son Kurt for a walk through a grassy field. —US Holocaust Memorial Museum, courtesy of Kurt & Jill Berg Pauly. Kurt Pauly posed in front of a large fountain in Würzberg. —US Holocaust Memorial Museum, courtesy of Kurt & Jill Berg Pauly. German-Jewish immigrants, Selma Herz Pauly and her son, Kurt, pose outside their home on a chicken farm in Vineland, NJ. 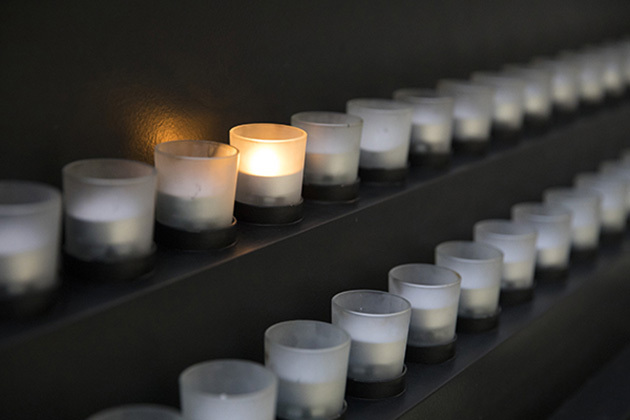 —US Holocaust Memorial Museum, courtesy of Kurt & Jill Berg Pauly. In late summer 1936, the Paulys, in order to protect Kurt, made the decision to leave Germany for Palestine where they both had family. They were lucky enough to the necessary visas through a program organized by The Jewish Agency in Palestine. However, Kurt’s two remaining grandparents refused to leave Germany. His maternal grandfather, Louis, remained in Aachen while his paternal grandmother, Betta stayed in Würzburg, Germany. Prior to leaving the country, the Paulys traveled by train Würzburg to say their final goodbyes to Betta. This was difficult for Kurt, who was very close with his grandmother and had wonderful memories of playing with a red wind up car in her apartment as a young boy. Once settled in Palestine, Kurt’s father began a trucking business. Kurt, now six years old, began school. Lessons were difficult for Kurt since he did not understand the Hebrew language, but he quickly assimilated and made many friends who played hide and seek with him. Two years later, the family came to the United States, after receiving affidavits of financial support from distant friends of their family members. They settled in Cincinnati, Ohio, a city with a large German population and home to one of Kurt’s uncles. Hugo found work in a cafeteria peeling potatoes and onions. Again, Kurt was forced to learn a new language, English. Although he was almost nine years old, Kurt was placed into first grade due to the language barrier. As the war in Europe escalated, Kurt's parents grew ever more concerned about the family that they had to leave behind in Germany. Hugo had hoped to bring more of their relatives to the United States, but in fall 1941, the Nazis prohibited Jews from leaving Germany and soon began deporting them to ghettos and killing centers in occupied Eastern Europe. Kurt’s grandfather, Louis, and his grandmother, Betta, were both sent to Theresienstadt where his grandmother was murdered upon arrival. Louis was eventually sent to Majdanek where he was murdered. After the war, Kurt learned the majority of his extended family was murdered by the Nazis. In 1948 the Paulys moved to Vineland, New Jersey, where they bought a chicken farm. After serving in the U.S. Army during the Korean War, Kurt went on to graduate with honors from the University of Pennsylvania's Wharton School of Business, which he attended on the G.I. Bill, and became a certified public accountant. He now resides in Lawrence, New York, with his wife Jill Pauly, who is also a survivor of the Holocaust. He and Jill volunteer with the United States Holocaust Memorial Museum.